CHUCK FENDA SPEAKS ABOUT THE ORIGINS OF HOW THE “ONE DROP” REVIVES A REGGAE RESURGENCE! This observation from Chuck Fenda was what spurred the singjay (singer and deejay) to make his own foray into the world of reggae music. 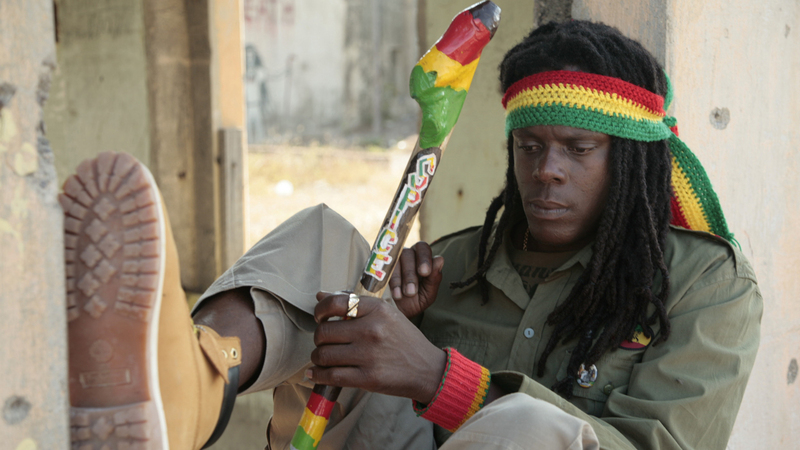 Tired of the multitude of fast-paced tracks the genre was spawning, Fenda decided his music would be part of a movement that would put the focus back on slower, more spiritual music – like that of the reggae “elders” who came before him. 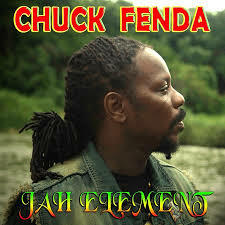 “The Fifth Element family – myself, Richie Spice, Anthony Cruz – we’re the ones who really resurrected culture music back into dancehall,” said Fenda, whose 2004 debut album Better Days was released through record label Fifth Element. “Before that, it was all fast-paced music. “That’s not to tek anything away from dancehall, but the culture music needs to be in dancehall,” continues the New York-born, Jamaica-raised artist. “It’s the heartbeat of the people and you can’t kill the sector of the music. Bob Marley, Burning Spear and all the elders before us set the template and we have to carry on that energy. So we really resurrected culture music; before that you never hear nuh one drop ah play in the dance in Jamaica. And the DJs didn’t want to play any one drop on their programmes – pure fast music dem ah play. “So we decided to slow it down and touch people’s hearts with real messages. And people all over the world love reggae vibes right now. Rihanna, John Legend, all of them are feeling the reggae energy. That’s what people are crying for right now.” Quickly finding favour with a host of hits, including I Swear, Coming Over Tonight and the controversial track Gash Dem and Light Dem, Fenda’s ability to identify with those living in poverty and hardship earned him the moniker the ‘Poor People’s Defender’. Explaining that he, too, was born in poverty, the 41-year-old, who recently released an album Jah Elements, says he was determined to be the voice of the people. “I come from the slum; from the ghetto. I had one khaki school uniform, so when I got home, it had to be washed and put on the line, ready to wear again the next day. So I wasn’t born with a silver spoon in my mouth – I had to work hard. “I was from the ghetto and I had so many friends from the ghetto and I wanted to make a difference; to help people rise out of the ghetto,” explains the singer, who was raised in Spanish Town. And unlike several Jamaican artists, who, for one reason or another, struggle to obtain visas to travel and perform overseas, Fenda is free to travel anywhere in the world. Being born in America and owning a US passport has enabled the artist to have the freedom to travel overseas that so many other Jamaican artists long for. And while some might consider Fenda’s birthplace a stroke of geographical luck, the singer insists his path was “ordained”. “My mother was in Jamaica and she got a 10-year visa, but when she arrived to America, she realised she was pregnant with me,” he says. Though Fenda says his mother hasn’t returned to Jamaica since leaving her young son with her parents – “we’ve spoken about three times on the phone,” he explains – the artist insists he has no hard feelings towards her. 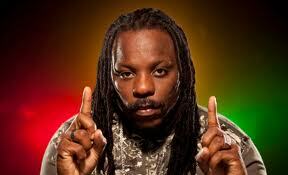 Fenda’s next performance destination is on United Kingdom shores, as he’s among the impressive line-up of Reggae Salute. Taking place today at the O2 Academy Brixton, the show will feature Fenda, alongside reggae stalwart Luciano, and other leading artists like I-Octane, Etana, and Christopher Martin.